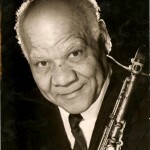 Sidney Bechet (May 14, 1897 – May 14, 1959) was an American jazz saxophonist, clarinetist, and composer.A brilliant soprano saxophonist and clarinetist with a wide vibrato that listeners either loved or hated, Bechet’s style did not evolve much through the years but he never lost his enthusiasm or creativity. A master at both individual and collective improvisation within the genre of New Orleans jazz, Bechet was such a dominant player that trumpeters found it very difficult to play with him. Bechet wanted to play lead and it was up to the other horns to stay out of his way. 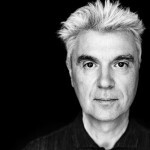 David Byrne (born May 14, 1952) is a Scottish-born musician permanently residing in the United States, and was a founding member and principal songwriter of the American New Wave band Talking Heads, which was active between 1975 and 1991. 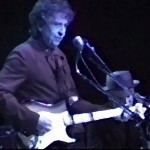 Since then, Byrne has released his own solo recordings and worked with various media including film, photography, opera, and non-fiction. He has received Grammy, Oscar, and Golden Globe awards and been inducted into the Rock and Roll Hall of Fame. Francis Albert “Frank” Sinatra, (December 12, 1915 – May 14, 1998) was an American singer and film actor.Beginning his musical career in the swing era with Harry James and Tommy Dorsey, Sinatra became an unprecedentedly successful solo artist in the early to mid-1940s, after being signed to Columbia Records in 1943. 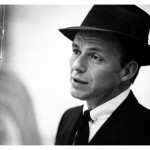 Being the idol of the “bobby soxers”, he released his first album, The Voice of Frank Sinatra in 1946. His professional career had stalled by the 1950s, but it was reborn in 1954 after he won the Academy Award for Best Supporting Actor for his performance in From Here to Eternity. 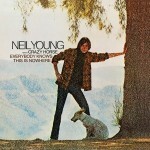 “Everybody Knows This Is Nowhere” – released 14 May 1969 – is the second studio album by Canadian musician Neil Young, released on Reprise Records catalogue RS 6349. 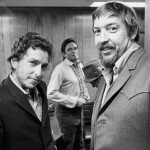 His first with backing band Crazy Horse, it peaked at #34 on the Billboard 200 and has been certified a platinum album by the RIAA.